Home/ARTICLES/IMMUNE HEALTH/Stress. Good? Or Bad? Your kids are late for school, the dog needs to get out for a walk, you got a really important presentation at work today, yet you didn’t get enough sleep last night, the bills are piling up and need to be paid, and you got a gazillion errands to run. Sound familiar? I think you are likely to agree that the problem sounds way too familiar. Worse yet, we’ve come to accept this as the norm; just how life is. What’s interesting about this is that on some days we can handle all this – even happily embrace it. What’s the difference? The stressors are all the same. The difference is, our attitude – how we view it. And this is the first, and the most powerful, and the biggest lesson of stress management. It’s not about eliminating stress; it’s all about reframing our responses, learning to handle it in a healthy way. I’ll even go so far as to say healthily manage stress exactly good force. Yes, let me say it again, stress can actually be good for us. Stress can make a stronger hand more resilient. So Why Stress Over a “Little” of Stress? Many of us take for granted that stress is just an unavoidable part of life. The “I’ll just live with it” mentality. “After all it really can’t hurt me, right?” Unfortunately the ostrich head – in – the – sand technique does not work for stress relief, or any health and healing concern for that matter. Stress may be the biggest single factor impacting our health. It has been estimated that 75 to 90% of all doctor’s visits are related to or attributed to stress. It affects numerous physiological responses in our body, including weakening our immune system, balancing neurotransmitters, weakening digestion, raising blood pressure, altering our heart rate, screwing up sleep patterns, raising blood sugar levels, decreasing the release of growth hormones, and much, much more. 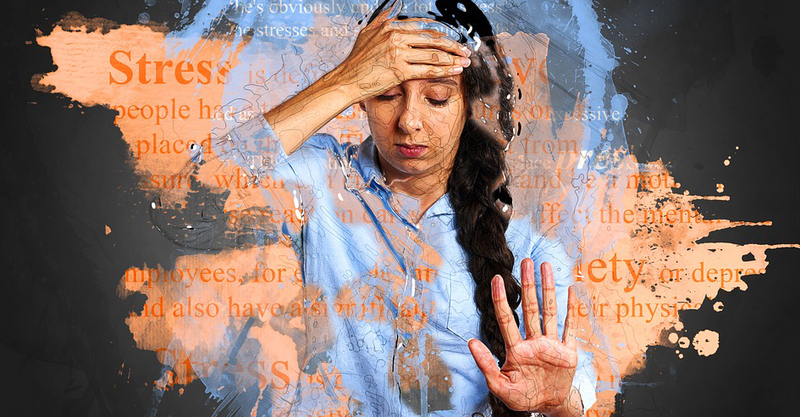 Stress is associated with numerous health conditions, some of which include anxiety, depression, heart disease, asthma, allergies, cancer, and aging, to name just a few. On top of this there are a rash of daily issues most of us are probably all too aware of; things like fatigue, digestive issues, difficulty sleeping, headaches, and emotional upset. Stress can be so impacting that the experiencing of three major life events (i.e. divorce, death, moving) can actually make your body feel as if it were 32 years older. But I thought you said that stress is good for us? We need to keep in mind that the determining factor in how our bodies and our minds react to stressors comes down to how we choose to respond to, and manage, these events. There is a class of herbs, aptly called adaptogens, that are all about helping the body adapt to the challenges and strains of life. These herbs help reduce stress, restore body functions, and support the overall healing processes. Since virtually every article on stress relief from a natural perspective focuses almost exclusively on these herbs I will only briefly mention a few of my favorites. Ashwagandha – this Ayurvedic herb improves and conserves our adaptability, boosts immune function, balances the neuroendocrine system, protects the heart and reduces inflammation. Specific stress applications for Ashwagandha are lessening anxiety and nervous exhaustion. Rhodiola – this traditional remedy was used to build energy and improve focus. Rhodiola optimizes serotonin and dopamine levels, supports neurotransmitter balance and is useful in stress that may be accompanied by anxiety, fatigue, depression, and a decrease in mental faculties. Cordyceps – considered a superior medicine in traditional Chinese medicine, has unique rebuilding, nourishing, and rejuvenating qualities to it that make it a complete whole body time. It is useful for those with long enduring chronic stress; folks lacking motivation and drive; and for those feeling depleted and run down and in need of a lift. Cordyceps builds energy while nurturing the body. Nervines. And in our society of instant gratification nervines tend to provide us more of an immediate benefit and relief than do the more long-term oriented tonic adaptogens. Since chronic stress and our fast-paced lifestyle are constantly taxing and straining our central nervous system, these nervine herbs are helpful allies in supporting, nourishing, and reinvigorating our nerves. Passionflower – has a calming action that is particularly good for nervousness and anxiety. A clinical trial found it almost as effective as a leading pharmaceutical drug for anxiety, but without the negative side effects. Holy Basil – supports a healthy response to stress and is good for “butterflies in the stomach” nervousness. Clinical research suggests it normalizes several stress responses. Motherwort – is especially useful for stress-induced anxiety accompanied by heart palpitations. In folk medicine is said to impart courage. Milky Oat Seeds – this nourishing nerve tonic is a wonderful remedy for nervous exhaustion. It also helps focus a scattered mind. Lemon Balm – makes a wonderful tea for restlessness and agitation and provides relief for mild depression. Skullcap – is useful for nervousness that is accompanied by twitching or spasms, as well as insomnia due to being overworked and excessive worry. Hops – is the herb for the excessive warrior that over thinks everything. Supposed to say worrier? Kava – can be used short-term to assist one out of emotional chaos and to seek clarity. Chamomile – is soothing for those feeling overly sensitive, irritable, and a tad bit too touchy. This is a helpful herb for children, particularly for tantrums. California Poppy – an uplifting and relaxing ally, it helps with feelings of powerlessness and when you are feeling like you’ve been struggling for too long. Black Cohosh – overlooked for its nerve support, it is a helpful friend when you feel the weight of a deep, dark, black cloud hanging over you. What if there was one remedy that helped with central nervous system support, had adaptogenic qualities, protected the body from most of the detrimental effects of stress, supported immune health, and nourished the body and spirit energetically? And on top of this, helped re-establish balance, in the mind and body, – which at the heart of things is the key to successful stress management and possibly all mental health issues? There is such a remedy, and it has been used for thousands of years in traditional medicine. I have coined the phrase “tonic for the 21st century” to describe it because I believe it may be the single best remedy for what ails us today. It is called Ling Zhi in Chinese medicine, which translates as spirit plant, and we know it as Reishi. Not only does Reishi protect and prevent many of the negative effects of stress, it helps the body recover while rebuilding and balancing virtually every major system in our body. So not only does it help us manage a stressful life it can enhance the overall health and vitality of the body as a whole. Let’s keep in mind that stress is not some powerful external agent acting upon us. As Hans Selye, the father of stress theory wrote; ‘it is not the stressors that are the issue, rather it is the way we react to them that is.’ (Note: Research has repeatedly confirmed his theory) So take back your power. Take back your health. Smile. Breath. Exercise/move. Connect with others. Optimistically evaluate stressors. And don’t forget to take your adaptogens, nervines, and of course Reishi; all important, helpful, healing steps on your path to radiant health. Disclaimer: All information and results stated here is for educational and entertainment purposes only. The information mentioned here is not specific medical advice for any individual and is not intended to be used for self-diagnosis or treatment. This content should not substitute medical advice from a health professional. Always consult your health practitioner regarding any health or medical conditions. But I don’t feel inflamed?